Feel the refreshing sensation as skin is cleansed & left feeling revitalised, with a silky, comfortable feeling. Boosted with Vitamin B3 and IPF™ anti-oxidants to prepare skin for moisturisation. 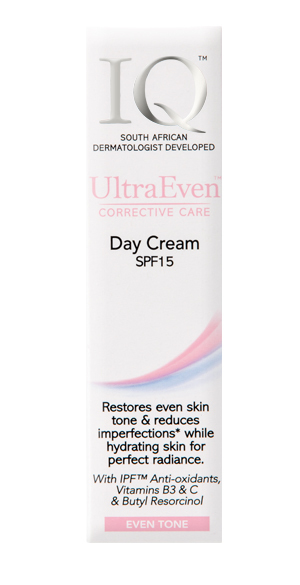 This light, mattifying day cream is a fusion of hydrating conditioners, SPF15 UVA & UVB filters & IPF™ Anti-oxidants. This unique IPF™ (Immuno Protection Factor), harnesses the powers of White Tea, Vitamins B3 & C & potent Butyl Resorcinol to help repair, protect & care for skin. Restores even skin tone & reduces imperfections* while brightening & smoothing skin for added beauty & vitality. *Image analysis and clinical scoring results when used in conjunction with daily application of the IQ UltraEven™ Night Cream & twice daily application of the Spot Corrector after 4 weeks. 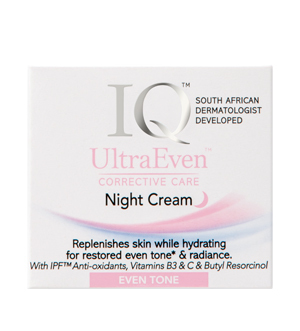 This treatment night cream is specially designed to work at night when skin is repairing the damage sustained during the day. Rejuvenating Vitamin B3 works to increase Keratin synthesis & strengthens the skin barrier, helping to restore even skin tone* while you sleep for a more even complexion. 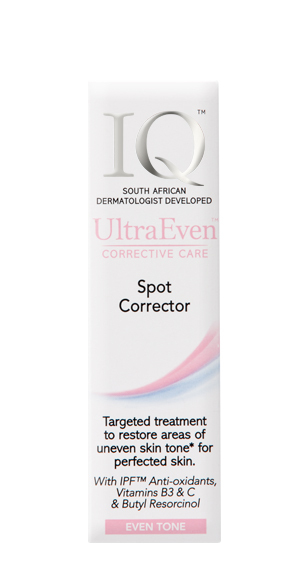 *Image analysis and clinical scoring results when used in conjunction with daily application of the IQ UltraEven™ Day Cream & twice daily application of the Spot Corrector after 4 weeks. A lightweight, highly effective treatment which deeply penetrates* the skin. Provides vital IPF™ Anti-oxidant protection as well as an intensive complex of Butyl Resorcinol, Vitamins B3 & C to target areas of uneven skin tone** and dark marks. 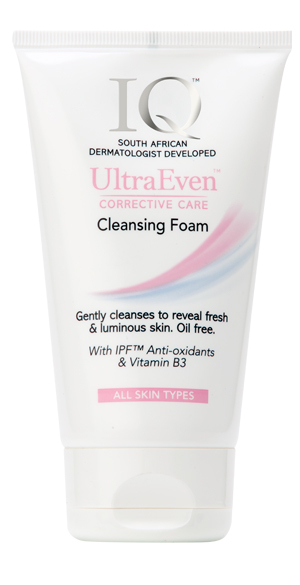 Helps to repair & restore skin for more luminous & radiantly conditioned skin. Dermatologist tested. **Image analysis and clinical scoring results when used in conjunction with daily application of the IQ UltraEven™ Day Cream & Night Cream after 4 weeks.